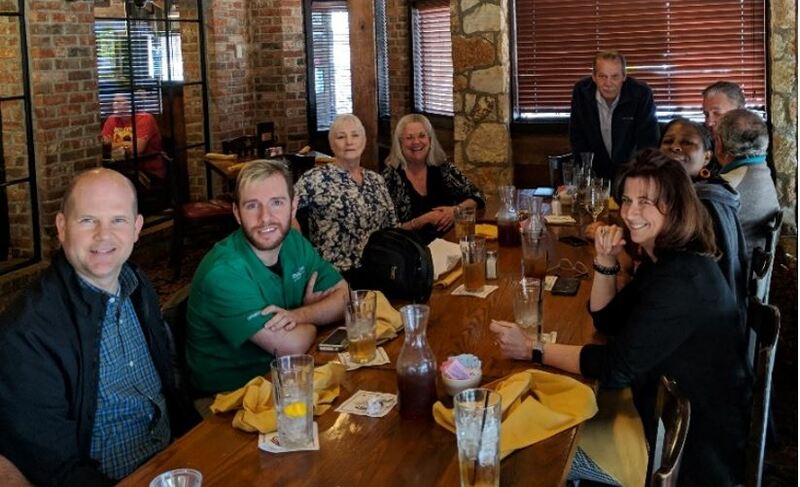 After serving 43 years with DynCorp International (DI), Carol is looking forward to spending time with her children and grandchildren in Arizona. She began work for Dynalectron, DI’s predecessor, in 1976 as an aircraft mechanic at Wichita Air Force Base in Kansas. 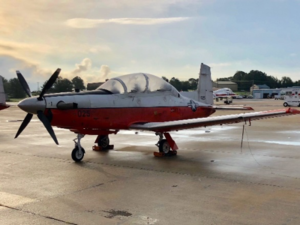 She left Wichita to accept a short assignment to Charleston AFB and in 1978 transferred to George AFB in California supporting F-4 aircraft maintenance until 1991. 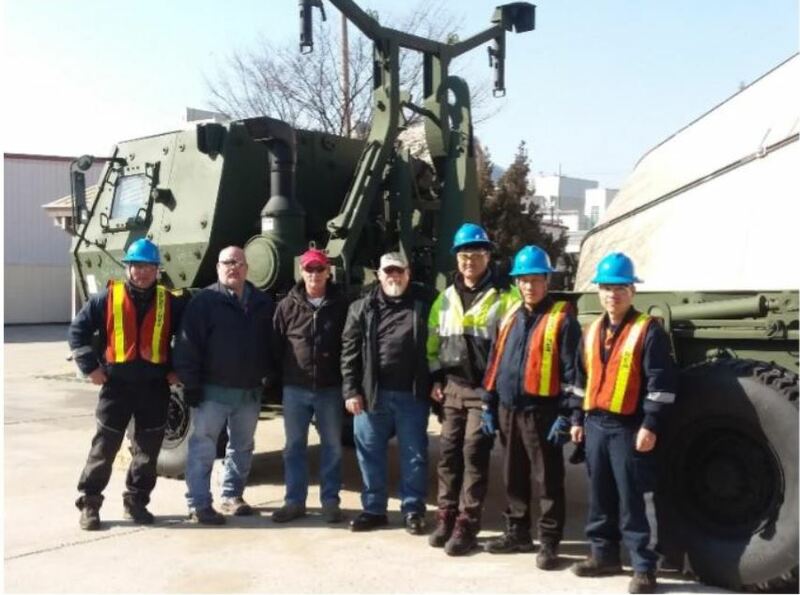 DynCorp International’s (DI) Medium Tactical Vehicle (MTV) Total Package Fielding (TPF) teams received kudos for training conducted in Korea and the U.S.
Last month in Kabul, Afghanistan, the Regional Security Office (RSO) Kabul and NATO’s Resolute Support Mission (RSM) in Afghanistan Base Defense Operations Center (BDOC) and the U.S. Embassy Kabul collaborated in a joint exercise designed to help save lives and mitigate property damage by conducting a fire and emergency support services mass casualty (MASCAL) exercise. 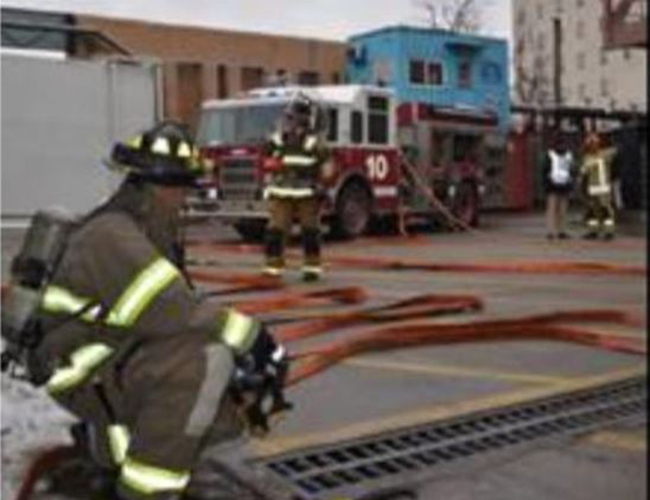 The RSM headquarters is host to military personnel from numerous allied and partner nations and includes a fire department and medical facility. The RSM fire and medical teams are capable organizations managed by a European contractor, and they were the U.S. Embassy’s primary fire response prior to the U.S. Embassy contracting with DynCorp International (DI) to provide fire and emergency services on the Afghanistan Life Support Services (ALiSS) contract. 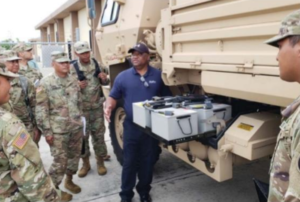 This October, the DynCorp International (DI) Total Package Fielding (TPF) Medium Tactical Vehicle (MTV) team traveled from Fort Carson, Colorado and Fort Bragg, North Carolina to Guam to issue vehicles and teach an Operator New Equipment Training (OPNET) class for the U.S. Army 797th Engineer Company. From a cooking show special at the U.S. Embassy in Kabul, Afghanistan to 216 lbs. of shrimp on the tiny remote island of Kwajalein in the Marshall Islands, DynCorp International (DI) programs celebrated Thanksgiving. A national holiday celebrated on various dates in several nations including the U.S., Thanksgiving is a day of giving thanks for the blessing of the harvest and of the preceding year. This year, the Logistics Civil Augmentation Program (LOGCAP IV) served seven tons of turkey, three tons of prime rib, three tons of steamship round, two tons of shrimp cocktail and two tons of baked ham at six dining facilities (DFACs) in Afghanistan. The Air Force Contract Augmentation Program (AFCAP IV) in Abu Dhabi, UAE built a decoratively lit palm tree from pineapple rinds and local palm fronds, and DI Food Service specialists and management were on hand to provide an excellent holiday meal to their soldiers and airmen. DynCorp International’s corporate offices recently participated in a Blue Jeans for Breast Cancer fundraising effort to follow the Susan G. Komen (SGK) 3-Day in Dallas-Fort Worth, TX. Paying to wear jeans for a week contributed to more than $3,000 being raised for the SGK foundation to support research for a cure. The annual three-day, 60 mile walk makes a real difference in the fight against breast cancer. Over the past 15 years and 163 events, the money SGK raised has been used to save lives, support community programs, and make huge strides in breast cancer research. Flash flooding in Dallas-Fort Worth held off just long enough for eighteen holes to be played in the DynCorp International (DI) Journey of Hope Charity Golf Tournament on Friday, September 21. The tournament raised $143,000 for the Tragedy Assistance Program for Survivors (TAPS) with donations from tournament sponsorships and raffles. 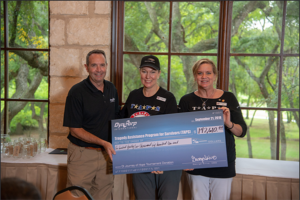 Bonnie Carroll, president and founder of TAPS, joined DI and the players at the Fossil Creek Golf Course in Fort Worth, Texas for the tournament. The U.S. Naval Test Pilot School at NAS Patuxent River in Maryland has completed installation and testing of the Area Dependent Surveillance-Broadcast (ADS-B) modification in two T-6B Texas II aircraft. 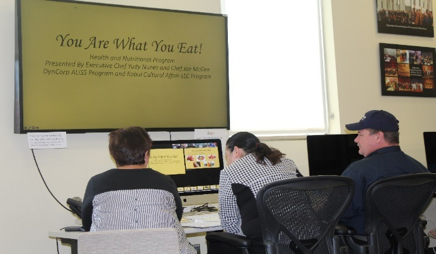 DynCorp International (DI) Executive Chef Yudy Nunez and Chef Joe McGee from the Afghanistan Life Support Services (ALiSS) program Food Services task order recently sat down to conduct a video conference at the Information Research Center (IRC) in Kabul, Afghanistan. The conference, connected to groups around Afghanistan, detailed the elements of proper nutrition and how to prepare a well-balanced meal with only a small budget. Every day our more than 12,000 personnel work in more than 35 countries to improve the quality and lower the cost of supplying and supporting our government and its allies. Follow our blog and learn more about our experience and capabilities. All comments left on DynCorp International social media channels are the solely the responsibility of the individual user and do not necessarily reflect the values and vision of DynCorp International.